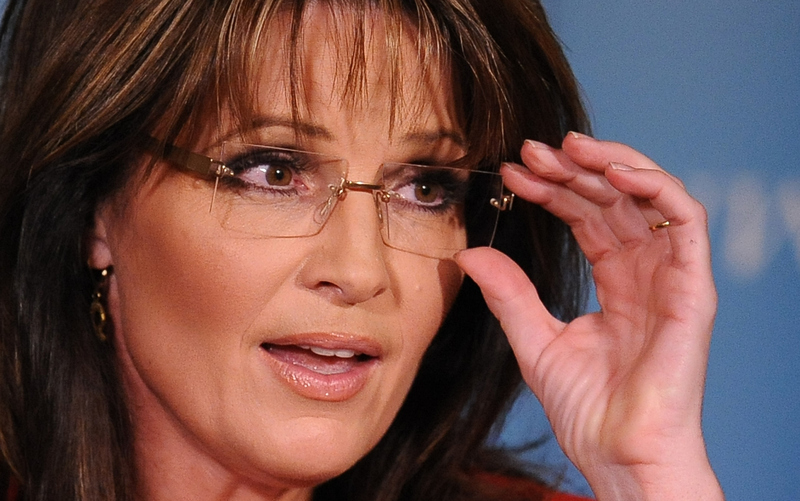 In a most bizarre turn of events, Sarah Palin will judge a reality courtroom show. She's no stranger to the small screen; her show Sarah Palin's Alaska aired for a whole one season on TLC from 2010 to 2011. She is, however, a stranger to the legal world. Palin has no juris doctor degree or other law experience, but she does have a political background and the panache to be a judge on a televised courtroom program. People reported that the currently-untitled show will be headed by a team which includes the executive who discovered Judge Judy and Judge Joe Brown, and could air in the fall of 2017, depending on how the pilot goes. And, well, it'll probably go swimmingly. If you think about it, Palin is the perfect choice to host a courtroom show. She's got all of the opinions and none of the legal experience to back it up. It's everything a reality show could want! Palin was John McCain's vice presidential running mate in the 2008 election. Before that, she had worked her way up from the Wasilla city council to become Wasilla mayor, and then the first woman to be elected Alaska's governor. After McCain's failed presidential campaign, she resigned from the governorship in 2009, and then took a new track to stay in the spotlight: a book deal and Fox News. As a Fox contributor, Palin frequently appeared on the channel, and even had a camera for the network installed in her home so that she could make late-notice appearances. She parted ways with the network in 2015, and well, it was only a few months later that she returned in full force with an endorsement for Donald Trump in hand. But now she's taking it yet another step further. The courtroom reality show, which I desperately hope is based in Alaska, is a whole new realm for Palin. It'll be interesting to see how long this show sticks around, considering how the majority of what Palin does lasts only a short period of time. But if she's got the judge's robe, the gavel, and a few crazy cases, then the show could be guilty pleasure reality television at its finest.